Custom Executive Style All Brick Home close to Jefferson City, Dandridge, Morristown, Douglas and Cherokee Lakes, Hospital, Schools, Carson Newman University, Restaurants and Shopping. Home features include Custom Kitchen with Granite Countertops, Under Cabinet Lighting, Custom Birch Cabinets and Top Line Appliances. Great Room offers Gas Fireplace with 22 ft Ceiling for those entertaining needs. Large Master Suite with Trey Ceiling, His and Her Walk In Closets, Double Vanities, Whirlpool Tub and Custom Tile Shower. 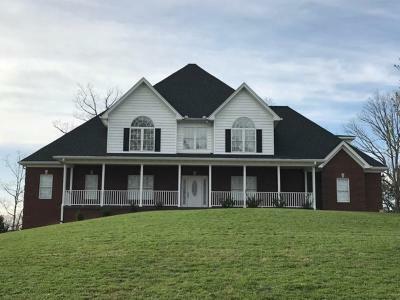 Formal Dining Room, Breakfast Nook overlooking the Country setting out back, Nice Tiled Mudroom off Garage with Large Utility Room and Half Bath, Main Level office or can be whatever your needs are.